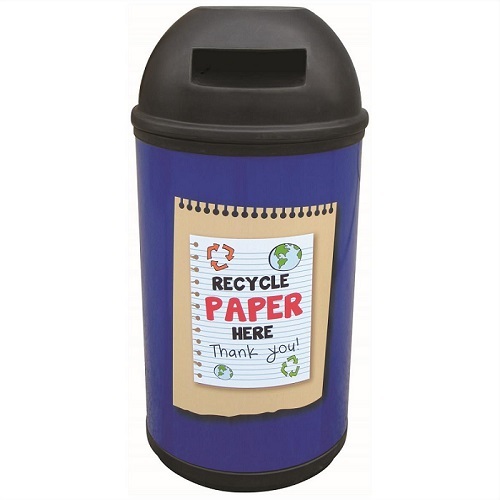 The Classic recycling bin is ideal for recycling paper in a wide range of locations such as schools, colleges, universities, offices and places of work. 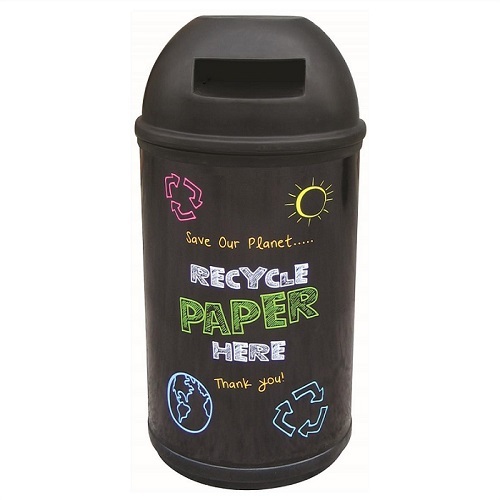 The Classic paper recycling bin is available with a choice of two graphics which clearly indicate what is being collected inside the bin. The bin is supplied in black as standard. The bin features a slot style opening to put paper in and each bin is supplied with either a galvanised steel or a plastic liner. The top of the bin is lockable and lifts off to allow the liner to be quickly and easily emptied. The bin is manufactured from recyclable polyethylene making it suitable for indoor or outdoor use. 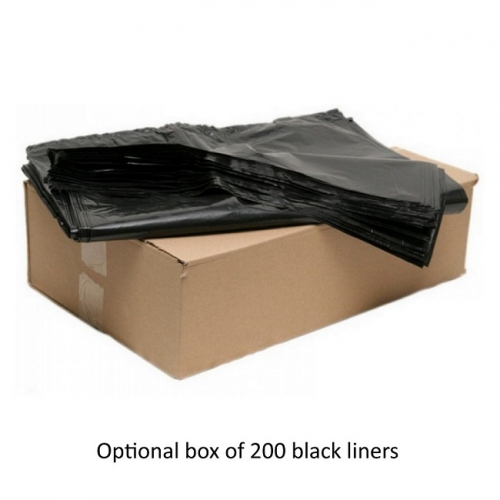 Polyethylene is a very tough and durable material meaning the bin can be located outside with very little maintenance required. The bin s also UV stabilised and will never rust or corrode.